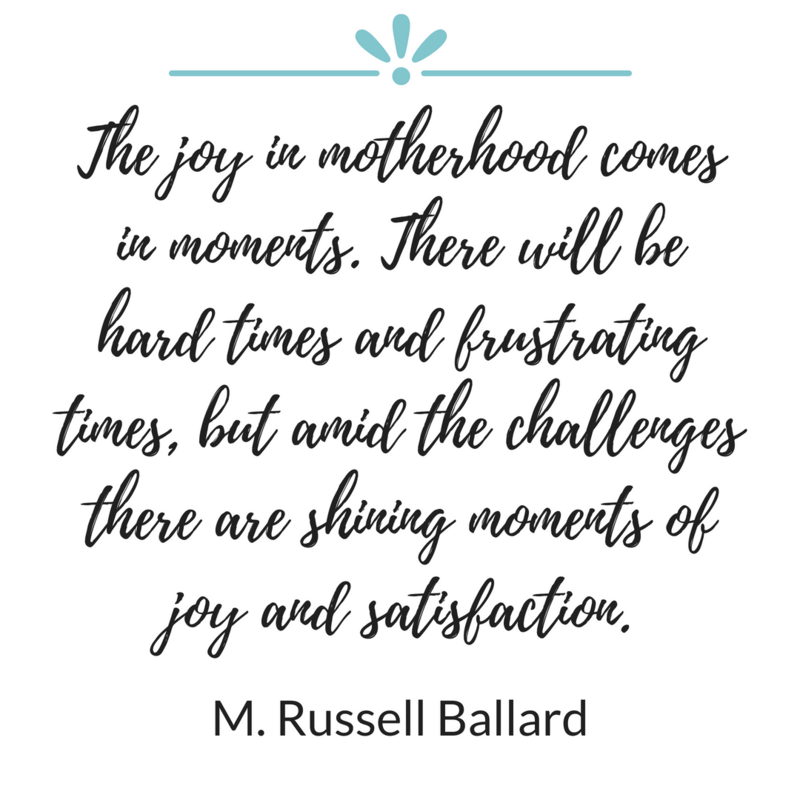 15 Quotes That Define Motherhood. 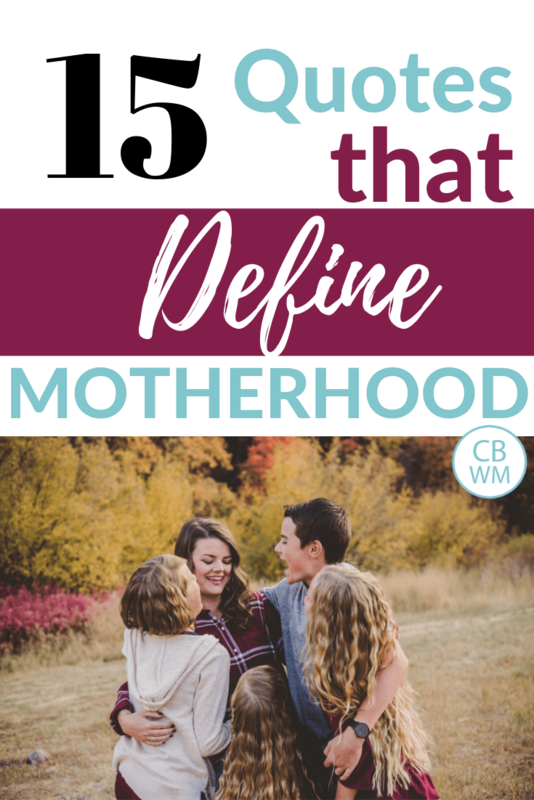 Motherhood quotes that express motherhood meaning and motherhood definition. 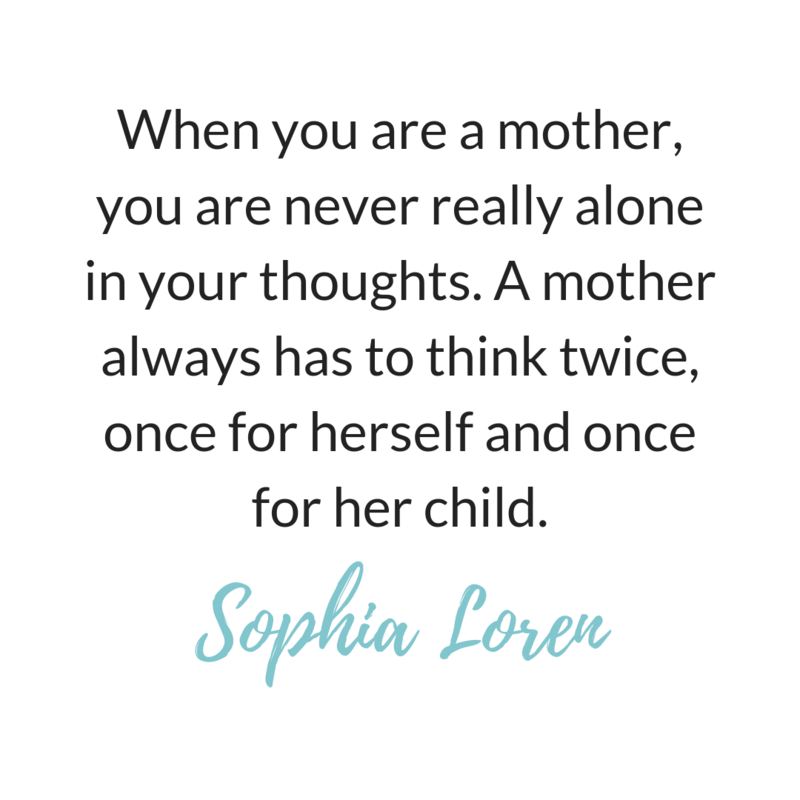 Motherhood quotes to inspire you. I love a good quote that can sit with me and inspire me in some way. 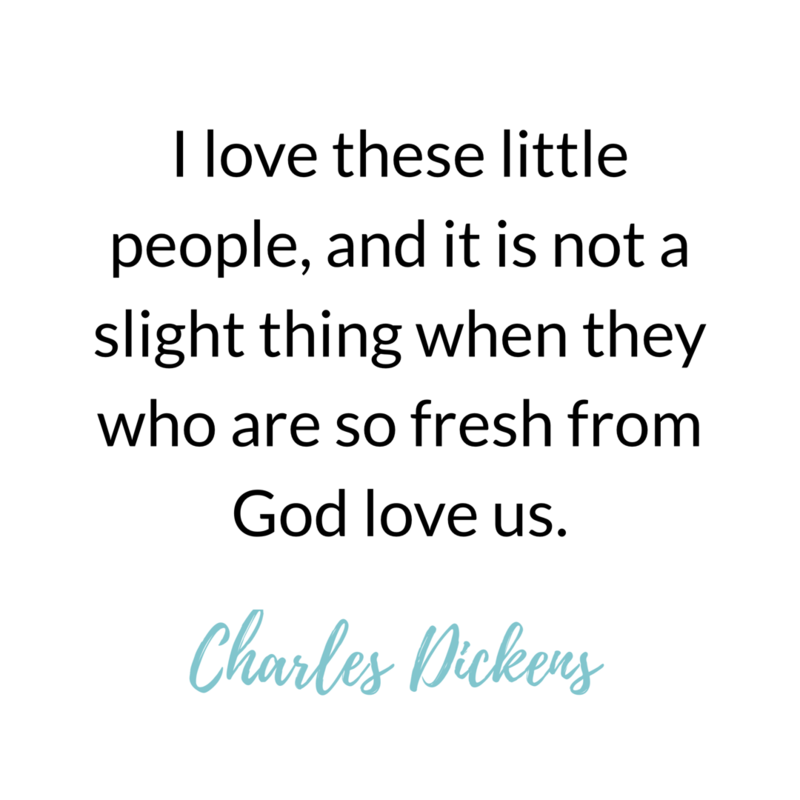 Every Friday, I share a quote I love that inspires me in my motherhood. It might be directly about being a mother. It might be about being a great human or about living life in the best way. 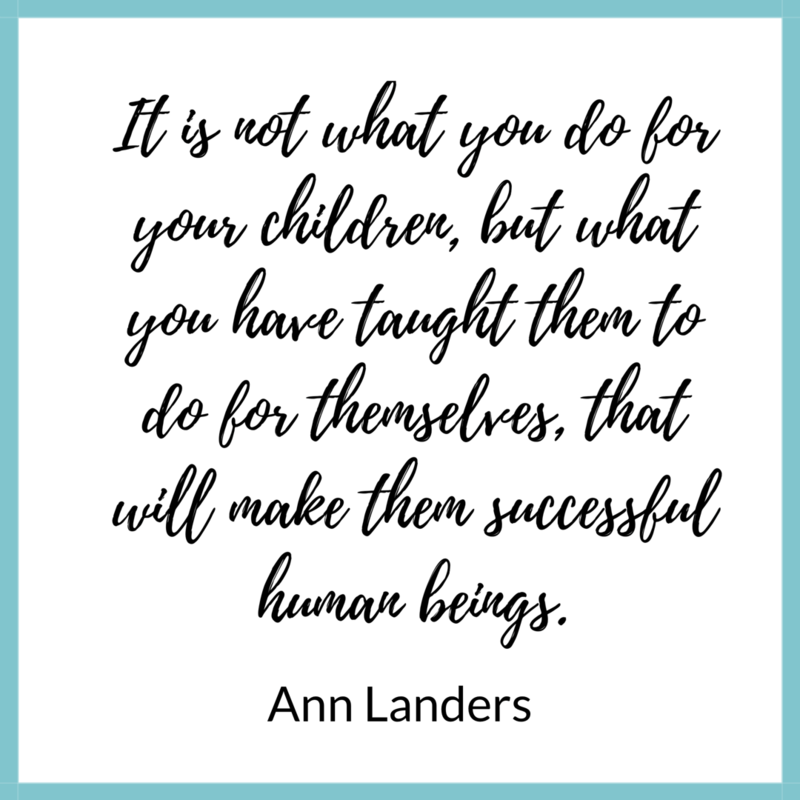 Here are my favorite quotes that help me to be a better mother. 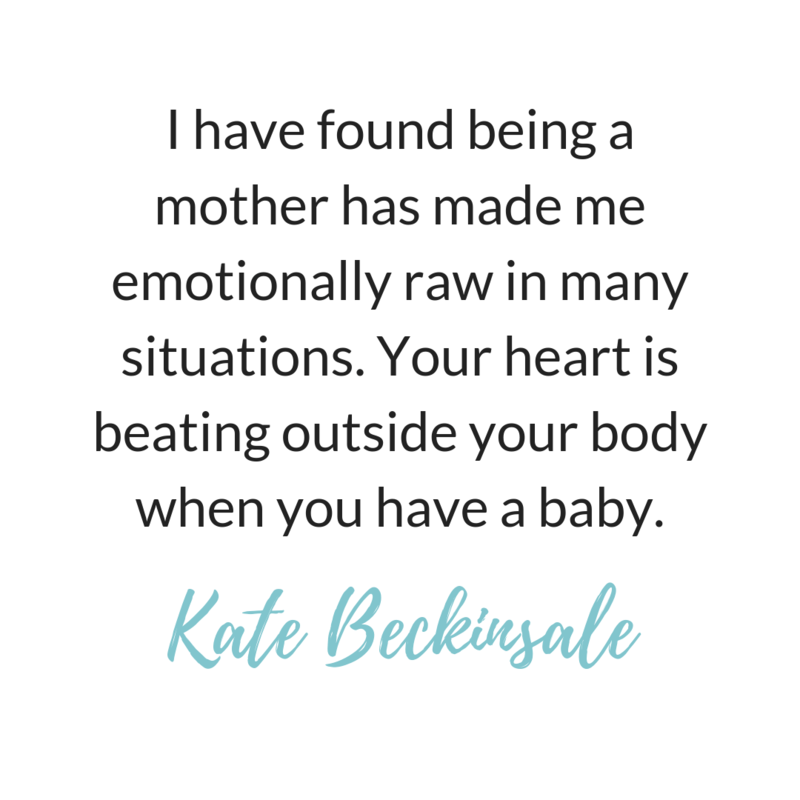 Nothing has helped me grow as a human as motherhood has. Being a mother is life changing for the better. These quotes help illustrate those traits. 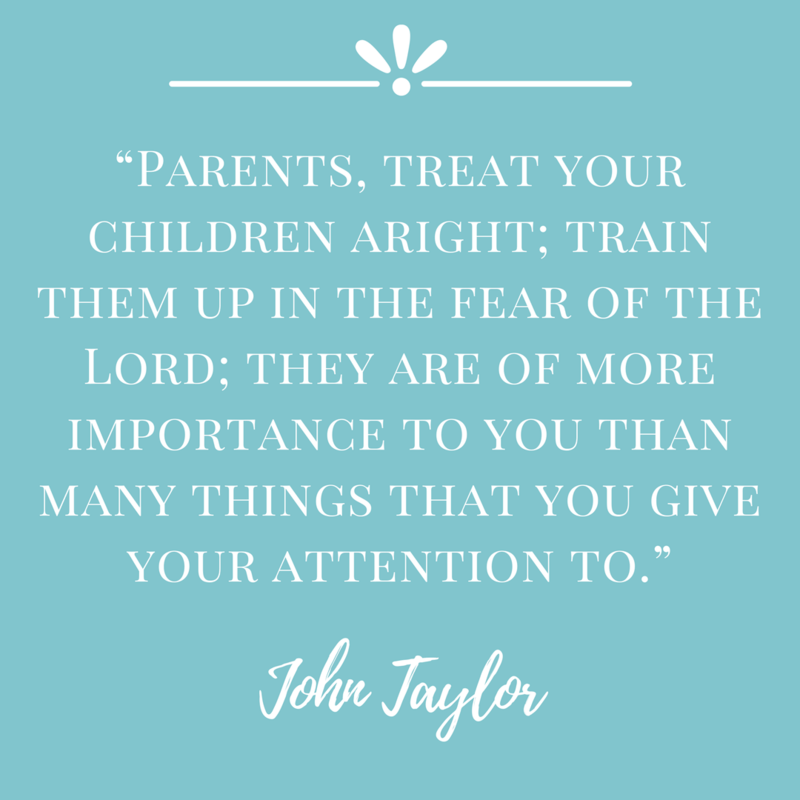 This is an old quote (as you can tell by the word usage), but probably even more applicable to us parents than it was when it was first spoken. I don’t know—maybe this has always been a struggle for parents? I think the balance can be hard to even identify, much less strike. We have to get things done as adults. But there are certainly things we give our time to that are of little worth or at the least could wait (and I am not talking about dishes. Dishes can only wait so long before they become an issue). I am going to try to keep the idea of “importance” in mind when I am deciding where my focus should be at any moment. 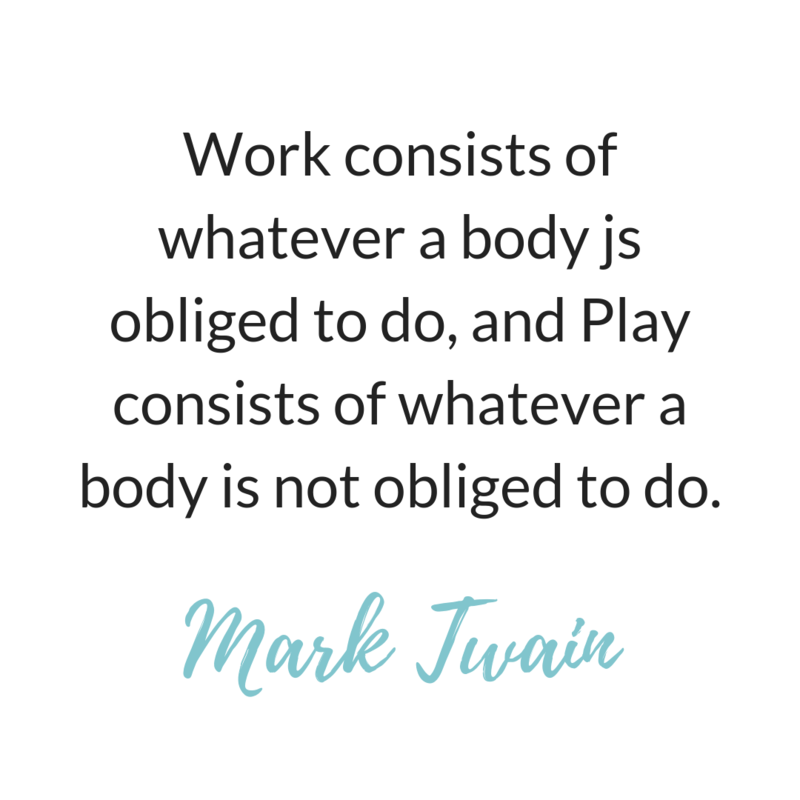 I don’t take this quote to mean every moment should be spent with your children—they should have time spent in many facets. Rather I take it to make sure as a parent, I am taking to time to train and teach my children what they really need to know. That time should receive high priority, above all things that are of less importance. 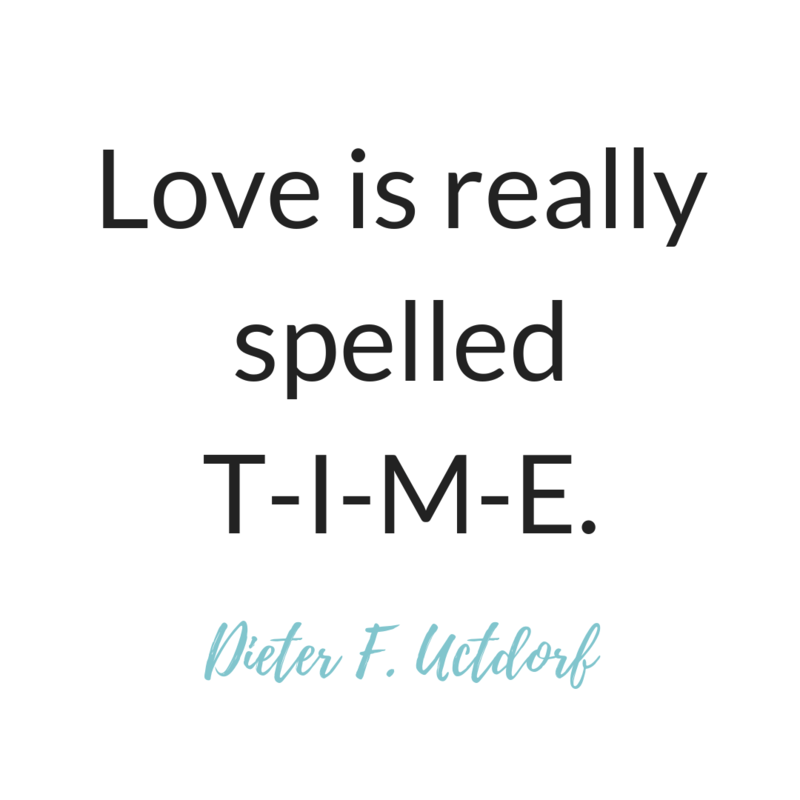 If you want to show love, spend some time. Kid dates are a great way to get some one-on-one time with your child. I have a long list of ideas here in this post. Lead by example. See Parent’s Example for more. “Motherhood is not a hobby…” I love this quote! 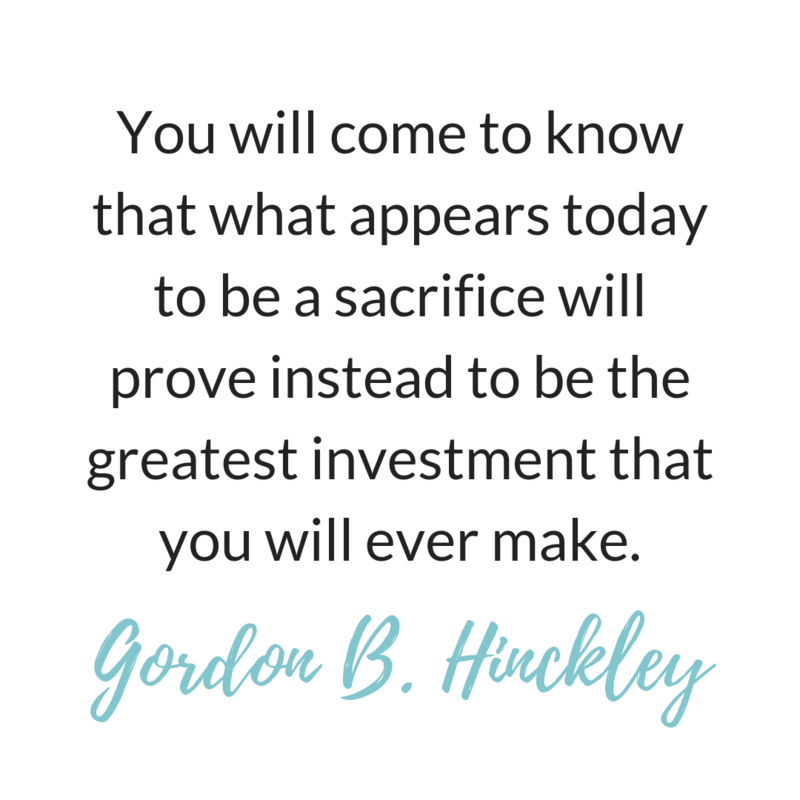 I especially love “It is what God gave you time for.” This is so wise and so helpful to keep in mind as you plan out your day, make choices throughout your day, and look back on your day. 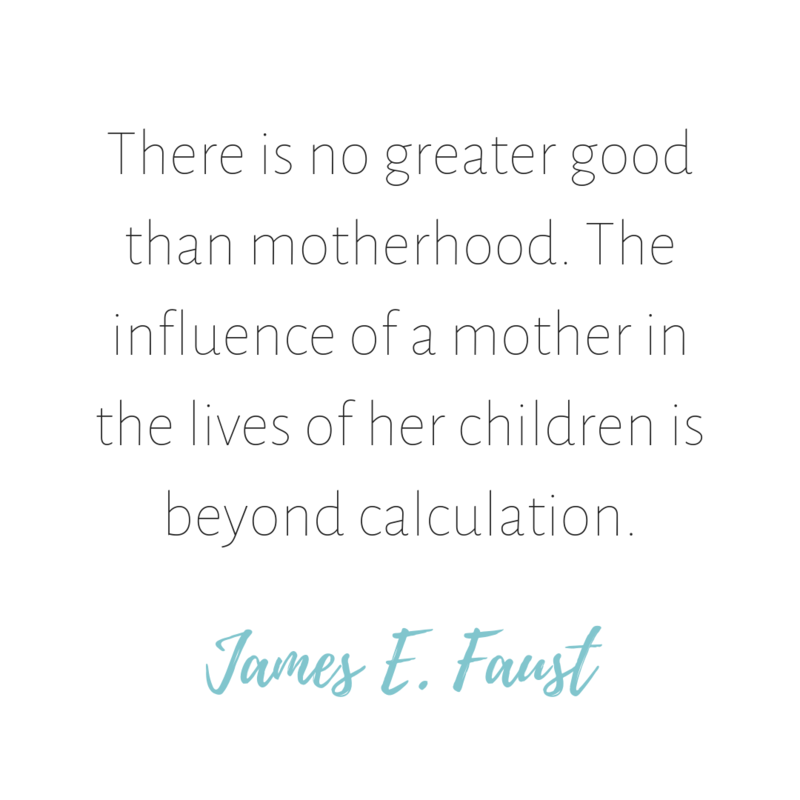 “Motherhood” is impossible to quantify, but if you look back and you accomplished “Motherhood,” then you succeeded. You succeeded even if you didn’t cross one thing off your to-do list. 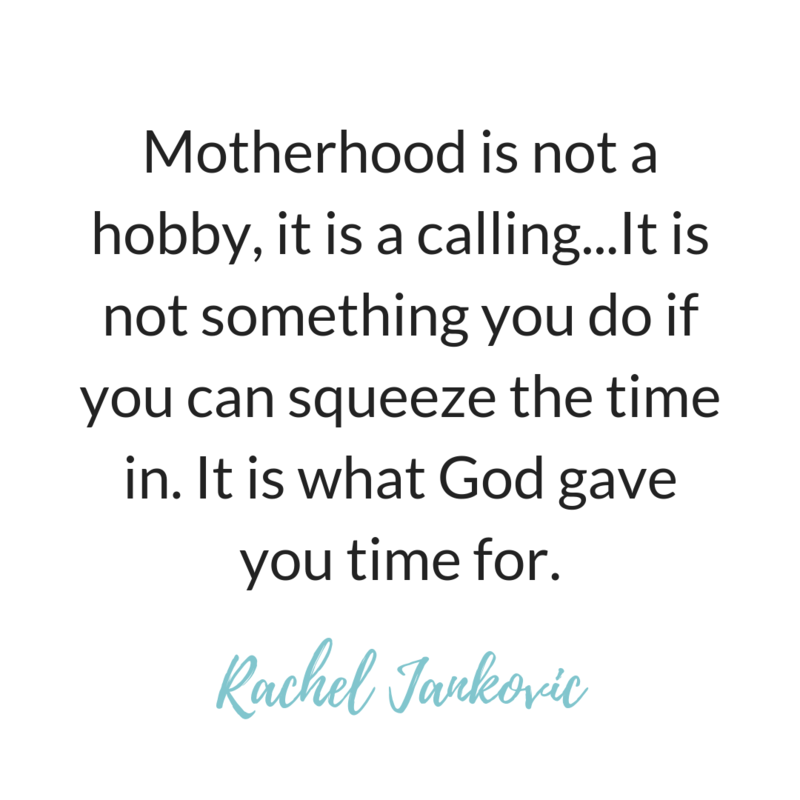 Motherhood is why you have time, so if you accomplish that today, you have done all that you needed to. The rest is just fluff. 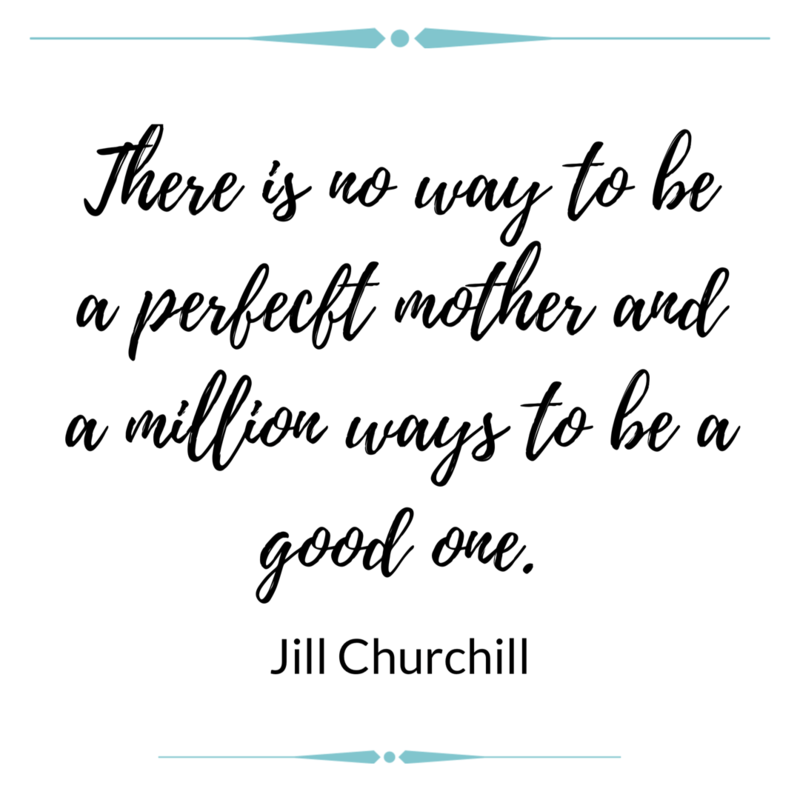 “There’s no way to be a perfect mother and a million ways to be a good one.” Jill Churchill. Give yourself a break mama. You can’t be perfect today, but you can be good. See Guilt as a Mother: Consider the Source. 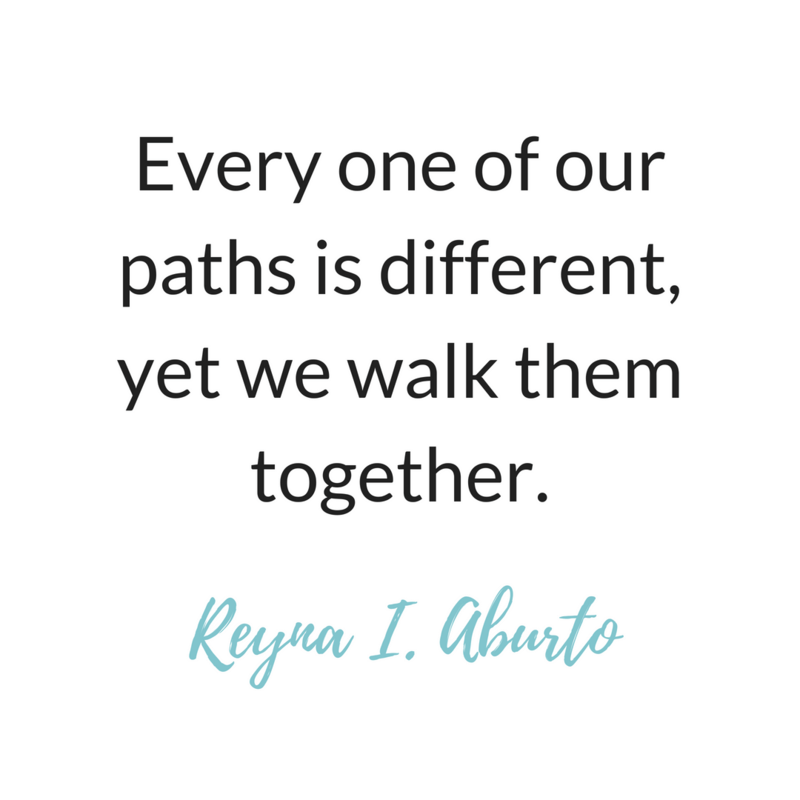 Every one of our paths is different, yet we walk them together. We all have different things to accomplish in life, and yet we all impact each other’s lives. Work together with others. Remember we are all in this together. I love this quote and believe in it so much! It is not mean to teach your child to have responsibility. It is a great gift! See The Importance of Accepting Personal Responsibility. 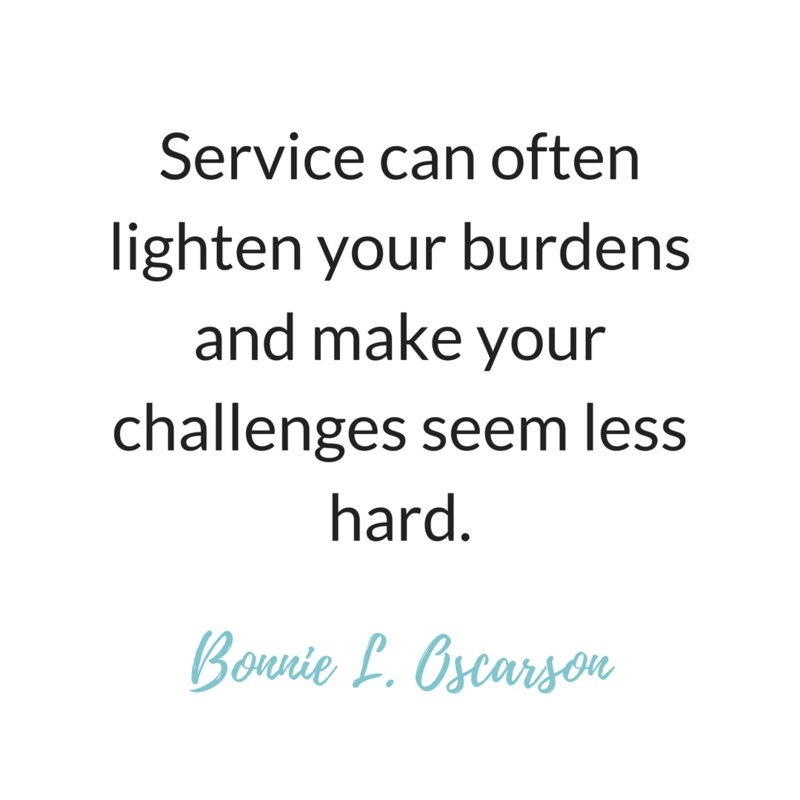 “Service can often lighten your burdens and make your challenges seem less hard.” This is a truth that is not intuitive. When we are having a hard time, we want to be served, not do the serving. The next time you are having a hard day, think of this quote and find someone and some way to serve. See what happens. 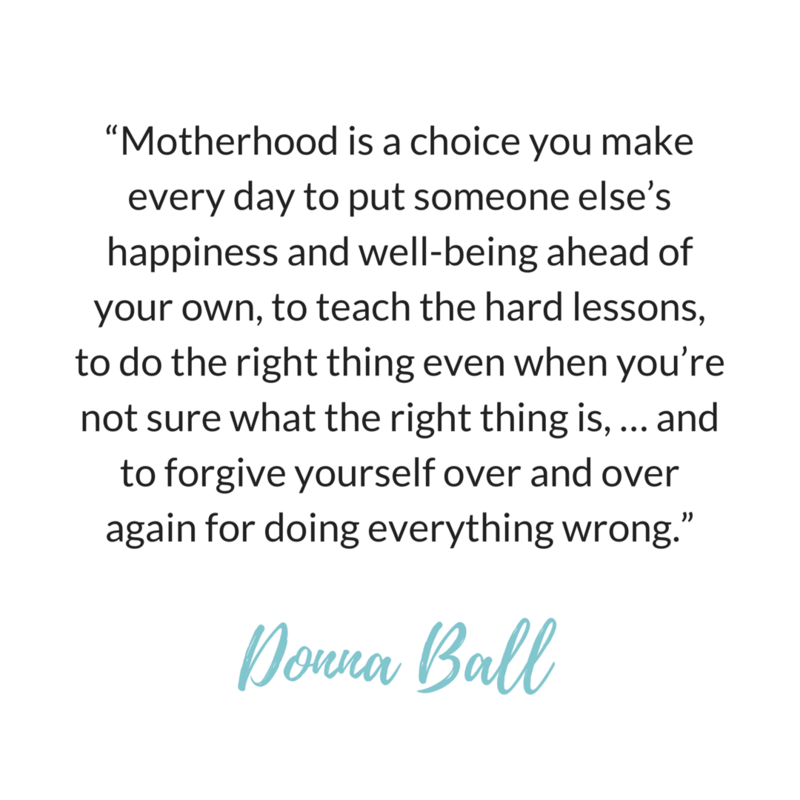 “Motherhood is a choice you make every day to put someone else’s happiness and well-being ahead of your own, to teach the hard lessons, to do the right thing even when you’re not sure what the right thing is, … and to forgive yourself over and over again for doing everything wrong.” —Donna Ball this entire quote struck me, but the last that struck me the most was to do the right thing even when you’re not sure what the right thing is. I always imagined when I was a mom that I would just know exactly what to say and do. 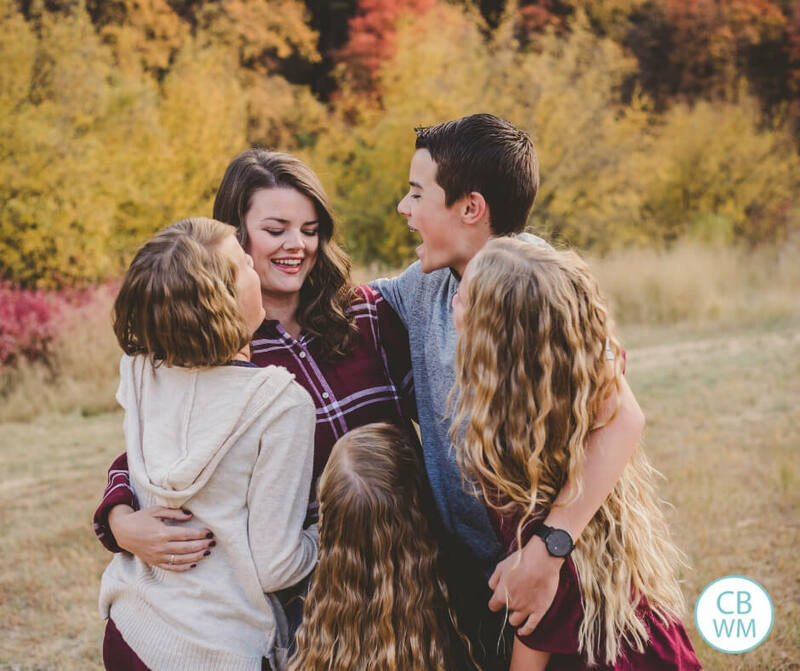 It turns out, you wing it a lot as a mom. You just hope your intent to do right leads to you hitting close to the mark. Motherhood is not always easy. In fact, it is often hard. 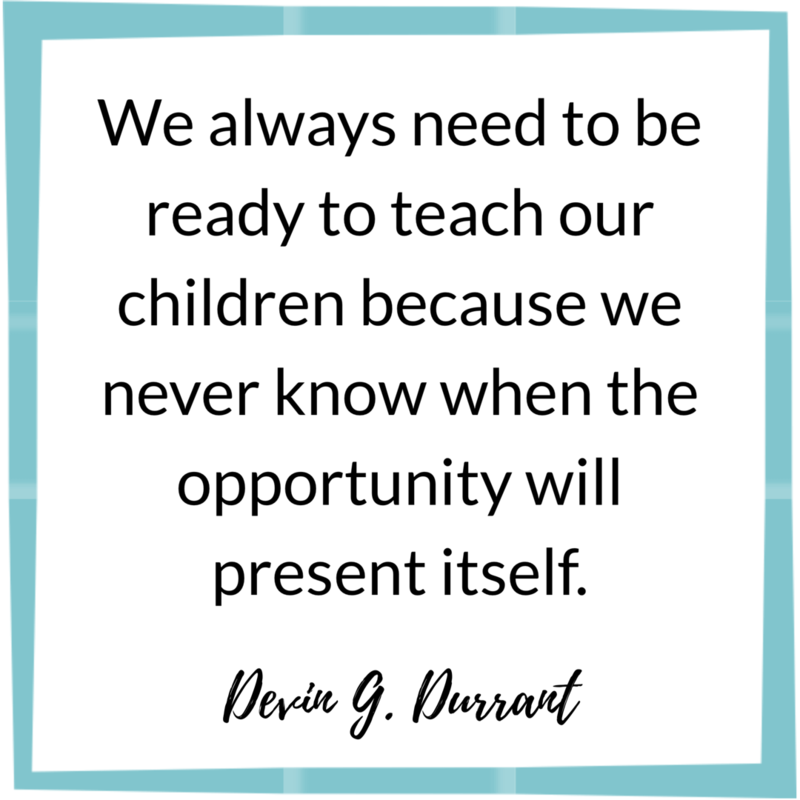 “We always need to be ready to teach our children because we never know when the opportunity will present itself.” This is so true! The opportunities tend to come at the moments we least want them to. Like bedtime or when we are in the middle of something. We must accept the moments when we are there and take advantage of them. “We always need to be ready to teach our children because we never know when the opportunity will present itself” Devin G. Durrant. Be at the crossroads. Be ready to listen when your children are ready to talk. Be prepared to teach valuable lessons to your children. Know where you stand on issues so you can teach your child when the time is right. In our digital age, I think being ready means we are willing to turn our tech off, set the phone down, and teach our children. Be ready and willing to teach when the time is right. There is something previous and purely heavenly about a new baby and that feeling of being close to divinity. I have always loved this quote. Children are able to show pure love 💕. “There is no greater good in all the world than motherhood. The influence of a mother in the lives of her children is beyond calculation.” Remember that on days that are hard. Remember that on days that seem like you aren’t doing much for the world. Your impact rubs deeper than you will ever see. 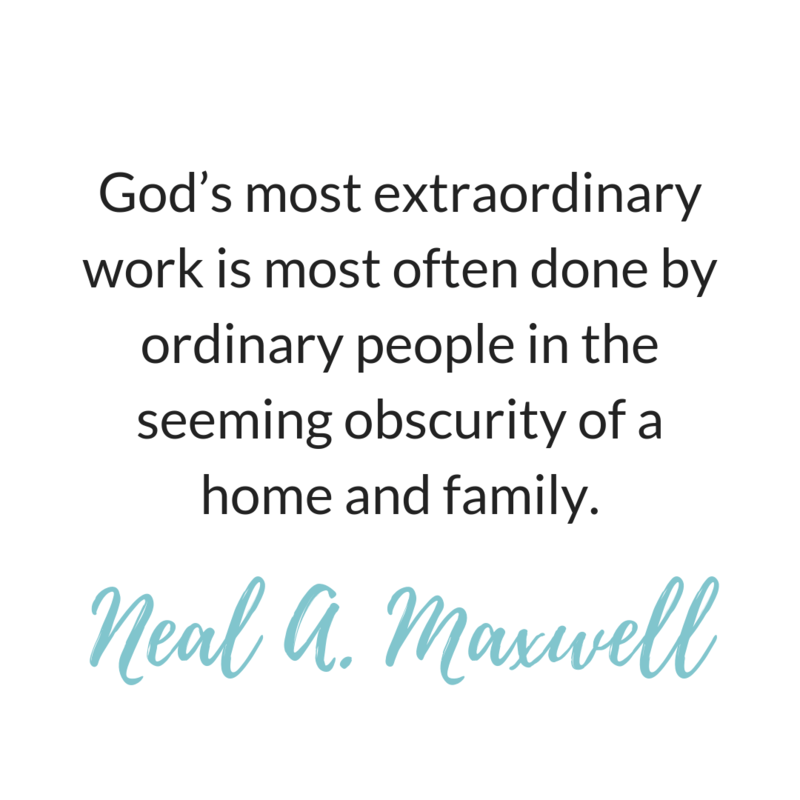 Always remember that the work in your home is service. It is easy to beat yourself up that you aren’t serving enough when in reality, you serve all day, every day. Also, the work you do in your home is important. It isn’t heralded by masses and it isn’t showily, but it is some of God’s most extraordinary work. This quote is applicable to all walks of life. I, of course, thought of motherhood. As mothers, we have failures every day. Some days may have only minor failures. Others will have major failures. We, of course, go to beating ourselves up over the failure, no matter the size, and letting our focus settle there. Failure is a part of life. 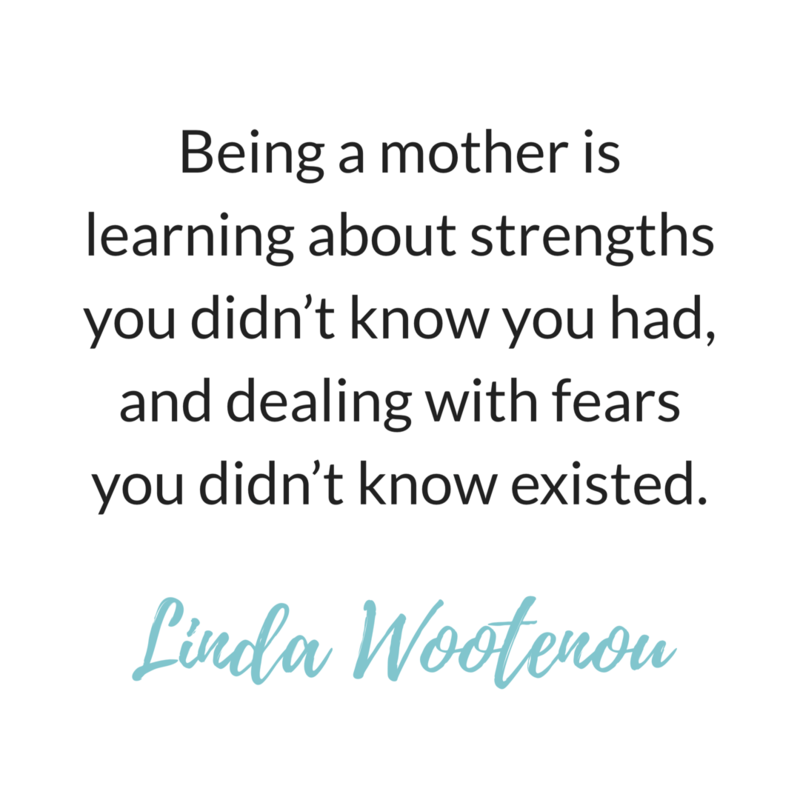 Failure is a part of motherhood. We must accept that. Yes, we want to put forth our best effort, but even with our best, there will be failings. We are human. We are far from expert at this role of “Mom.” If you were learning to play the piano, you would make thousands of mistakes on your journey. 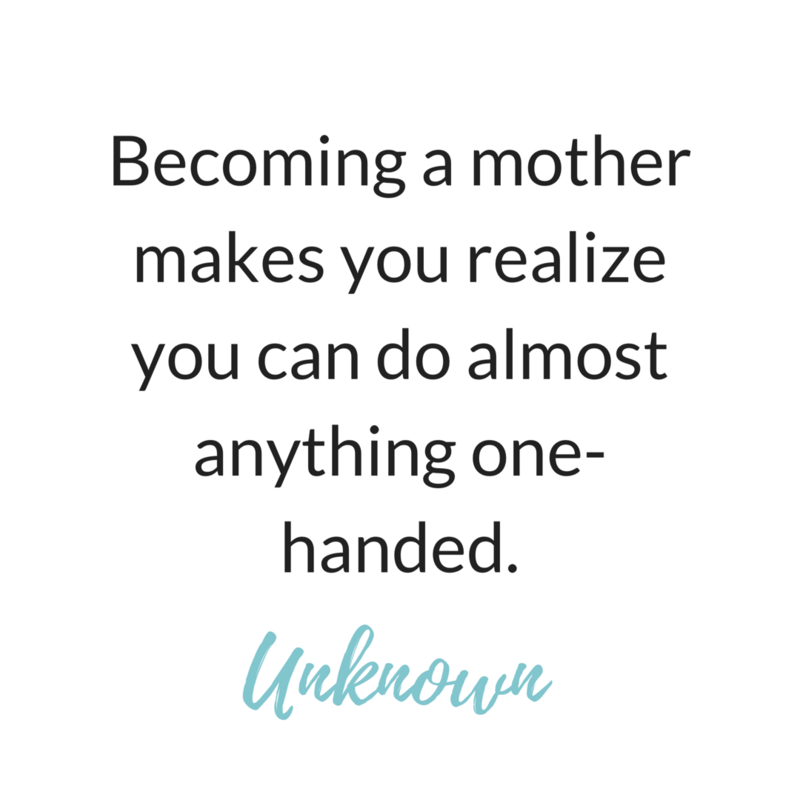 You are learning to be a mom every day. Every day you are faced with situations you have never faced. Mistakes and failures will happen as you learn. 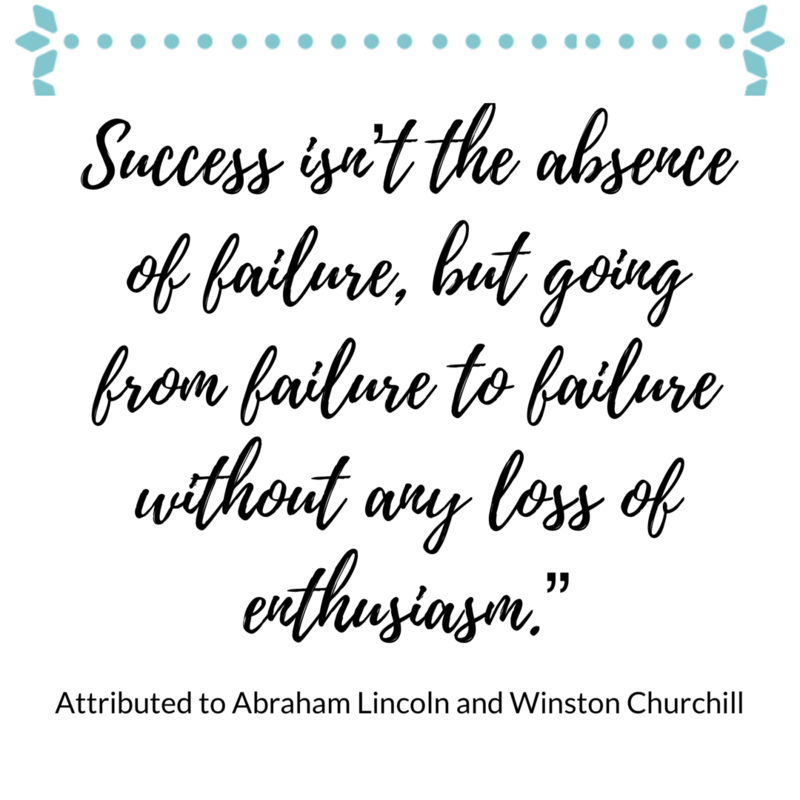 Move from failure to failure with enthusiasm. Do your best. Accept your limitations. Do not let your failings get in your way of moving forward with enthusiasm. That is what your children want and need from you. 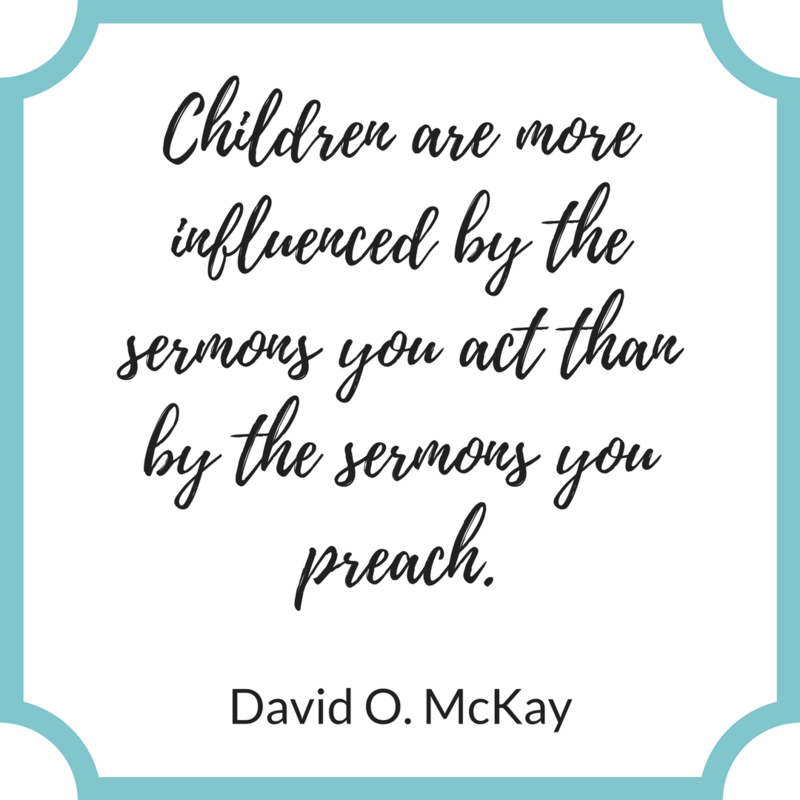 This is a helpful thing to remember when getting children to help and work around the house. It is okay to try to make things fun for your kids when it is chore time. At the same time, you don’t have to make it fun. But if you need help getting a child motivated, try adding some fun to it. So much truth to this. 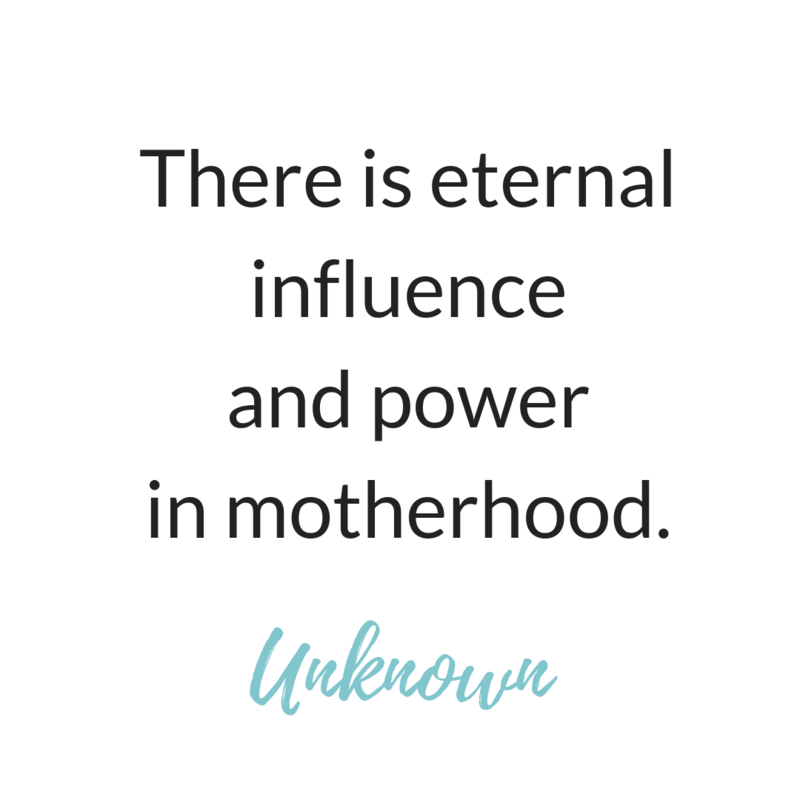 Motherhood is so much more than I ever imagined, in multiple ways! So true 😂 Which is your baby-holding arm? I think this is what wise women mean when they tell us to enjoy it and assure us that we will miss it. It is worth every moment. 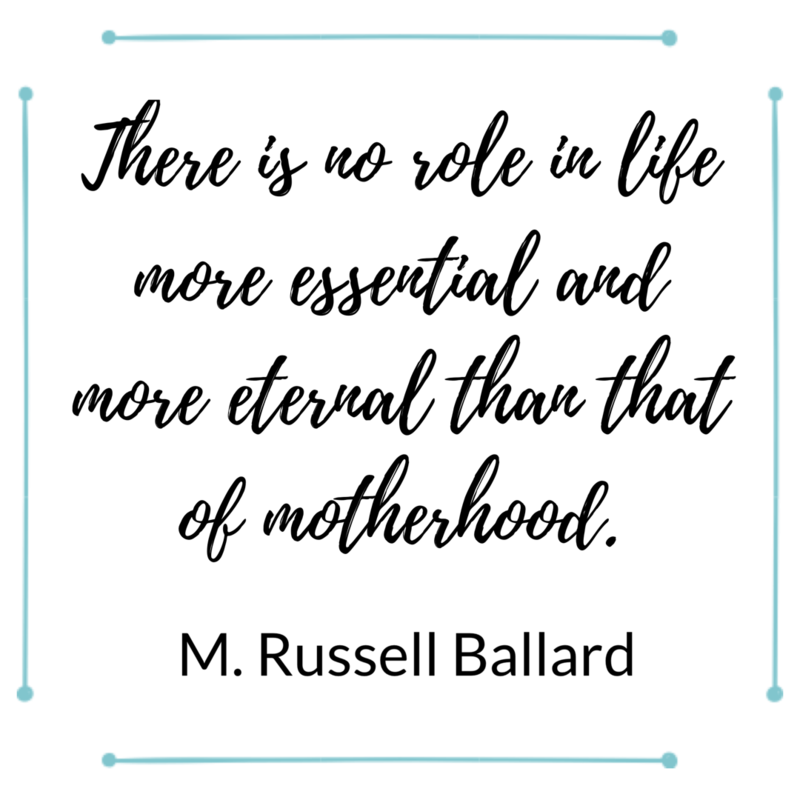 No matter your other roles, motherhood is essential. No matter your job, your volunteer positions, your to-do list, the role of mother is the most essential one. 💕 Motherhood isn’t easy. It is exhausting. It is often unappreciated. It can even feel lonely and isolating. But it is essential. What you are doing isn’t just worth it, it is essential. Hang in there, Mama! 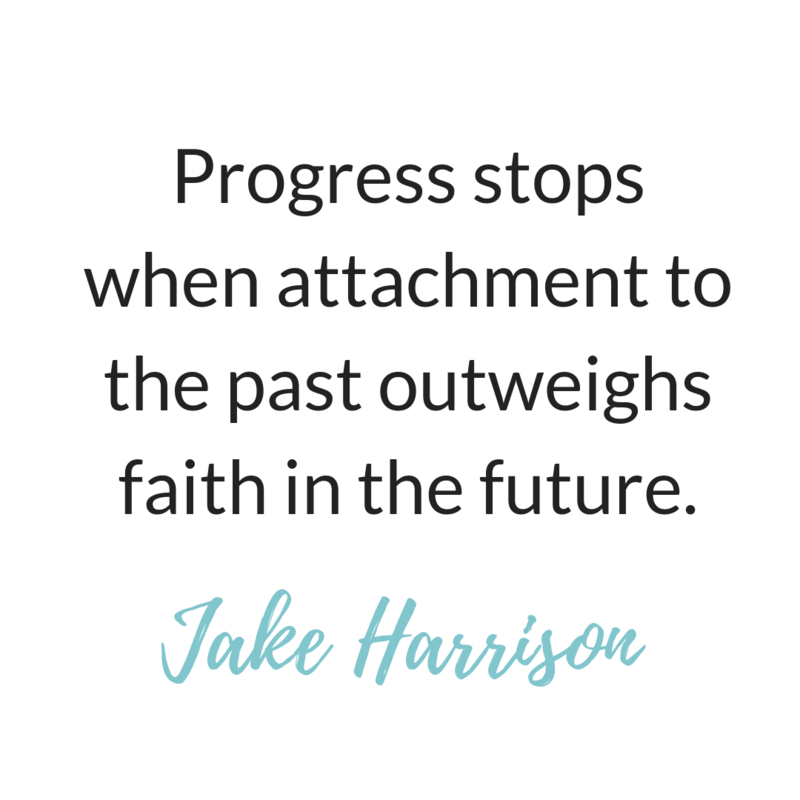 Jake said this quote in church recently. I thought it was the perfect phrase to start off the new year! It can apply to basically any situation you find yourself in life. 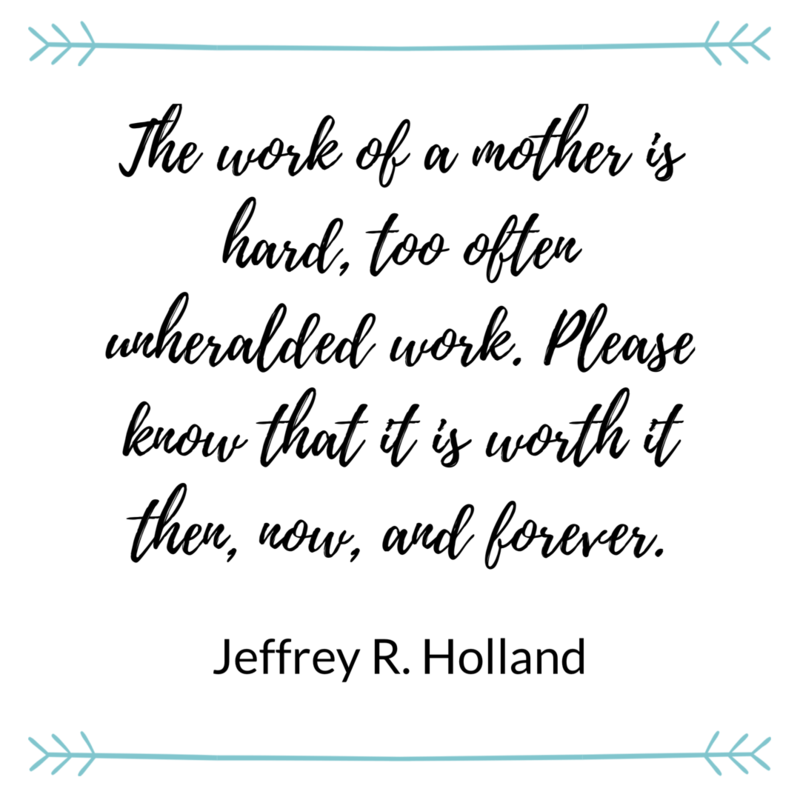 “The work of a mother is hard, too often unheralded work please know that it is worth it then, now, and forever.” This Mom job can be hard, but it is always worth it. 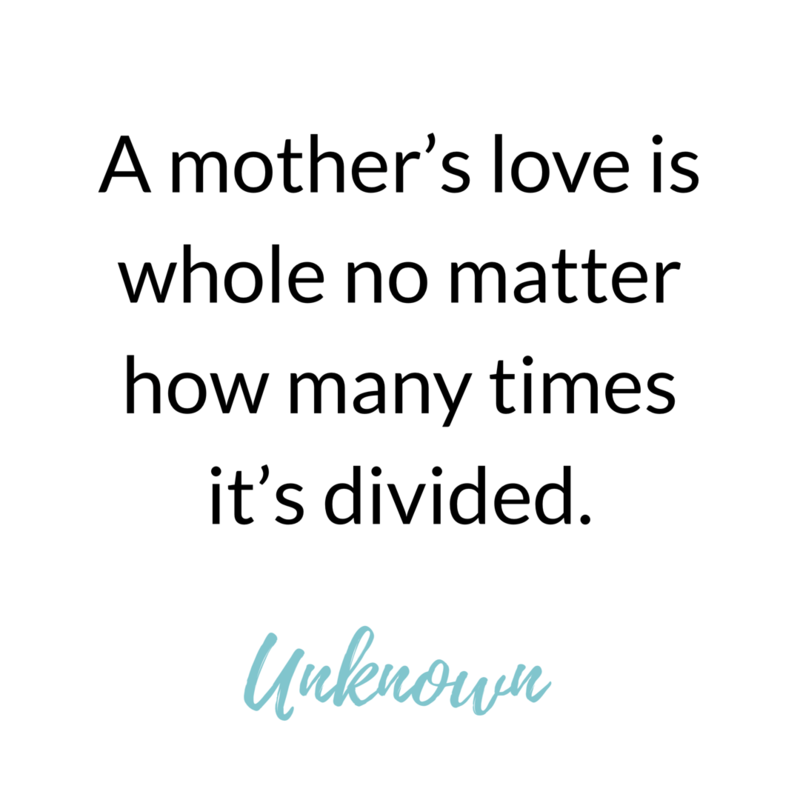 No matter what your day looks like today, I hope you can remember this quote and know your role as mother always has been and always will be worth it. What we do each day seems mundane. Actually, it doesn’t seem mundane. It IS mundane. But those mundane tasks have eternal influence. Mundane has eternal influence and power. “It’s not only children who grow. Parents do, too. As much as we want to see what our children do with their lives, they are watching us to see what we do with ours. I can’t tell my children to reach for the sun. 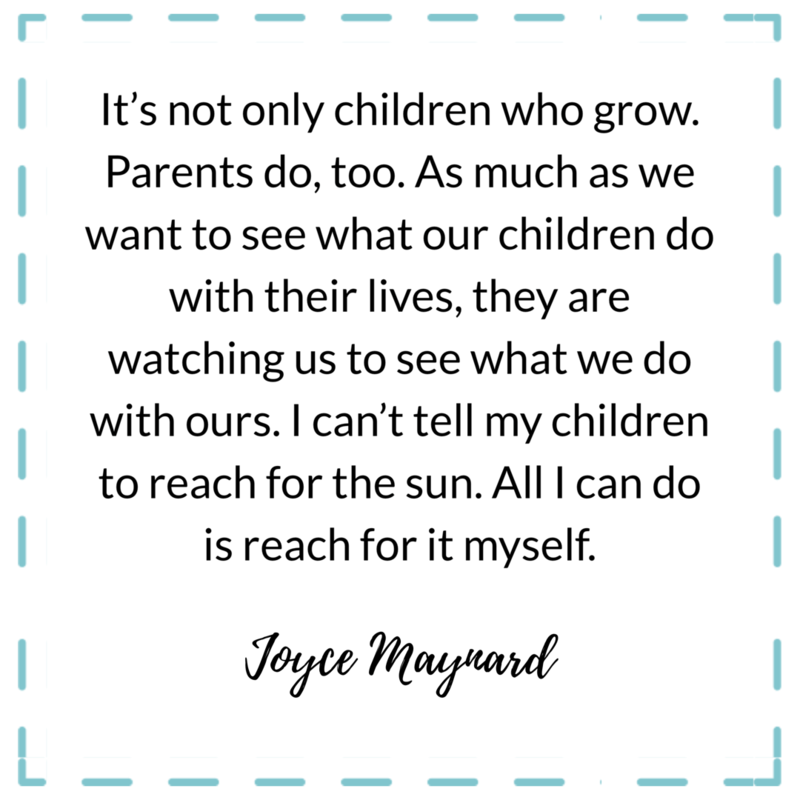 All I can do is reach for it myself.” Joyce Maynard. 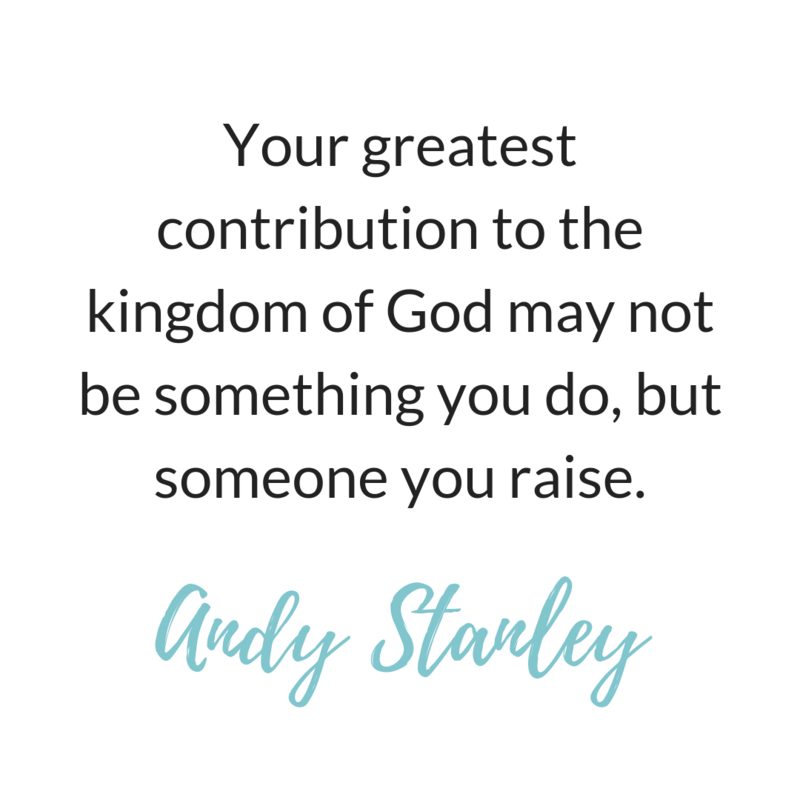 This is such a good reminder that not only is it okay to have and follow goals and dreams, but it is important to show that example to our children. What a good reminder to find the good in each day and be grateful for it. 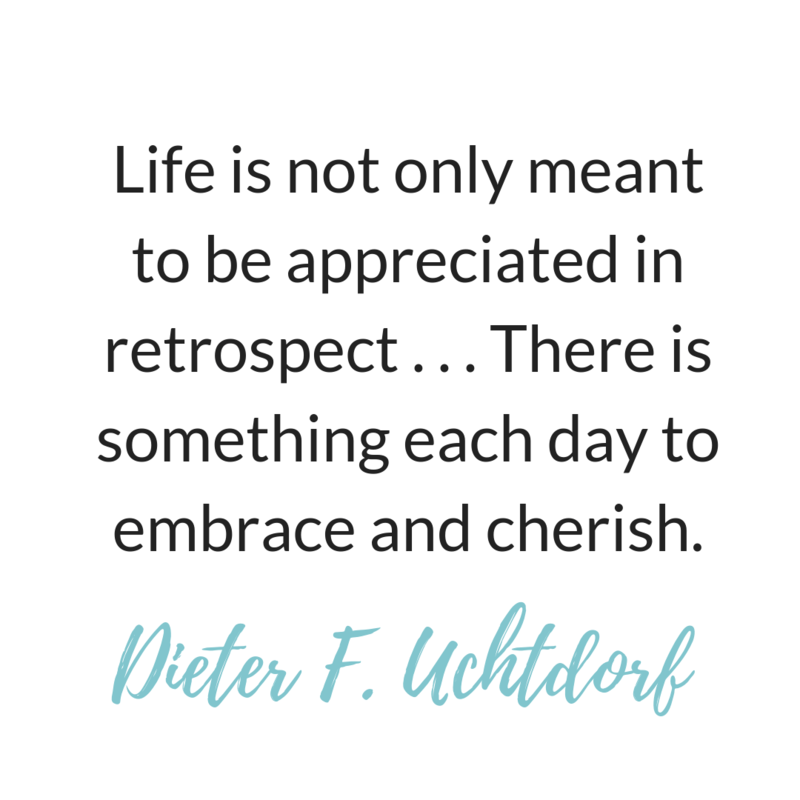 It is easy to look back fondly and find the good about our days gone by. That good can be seen in the moment if we will seek it.